My photo of the week this week is this reflection of a mooring pile in the harbour at Saltholmen. 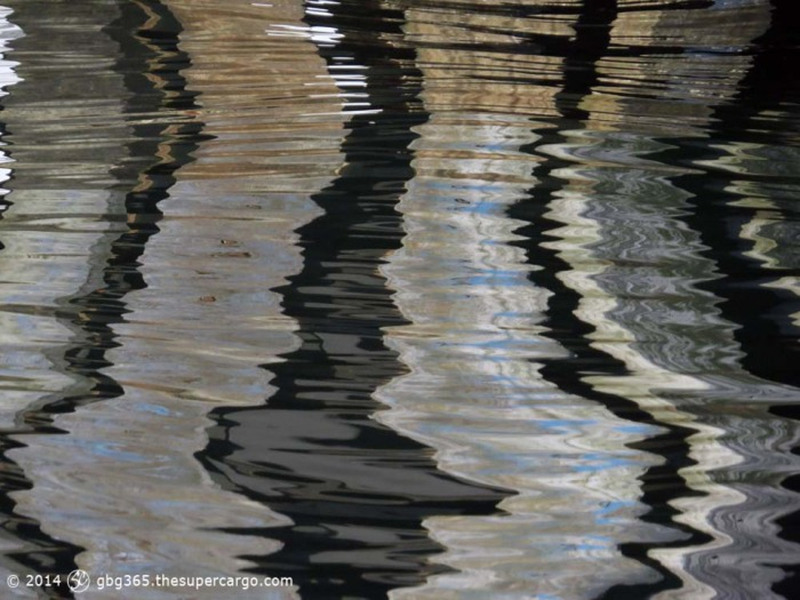 Another of my series of almost abstract pictures of reflections in rippled water. I originally published it at GBG365 on 4th May 2014. Saltholmen is the harbour at the extreme south-west edge of the Gothenburg mainland. From here run the ferries that knit together the city and the southern archipelago. The ferries are a part of the city’s public transport network. For the price of a single ticket, you can travel across Gothenburg from the north-eastern suburbs of Angered or Hjälbo to Vrångö in the south-west. It’s a pretty good deal.